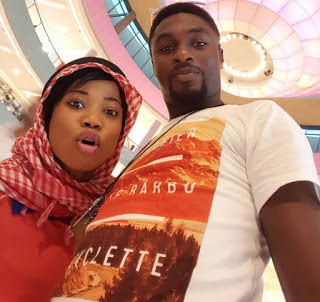 Pregnant actress Seyi Edun was recently spotted with her alleged boyfriend Niyi Johnson at the Ikeja city mall yesterday night Sunday November 6th. According to the eye witness report ''she is a few months gone and she was still experiencing "morning" sickness. and held unto her stomach and waist at intervals''. Eye witness report looked on as Niyi drove them off in Seyi's car with Seyi hands on tummy and eyes closed.